What really drives transformation and produces results? As professional coaches we are tasked with being accountable for the impact our work has in the lives of our clients. That accountability requires that we reflect deeply on what actually produces results for our clients. It’s our responsibility to consider the results clients have to show for working with us. How sustainable are those results? In what way does our work equip clients not only to create results in the present, but also to continually respond effectively to new challenges and opportunities? 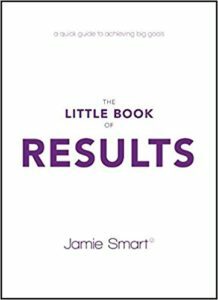 Jamie is the bestselling author of Clarity, The Little Book of Clarity, Results, and The Little Book of Results. Scroll down to download the audio or watch the video replay. Jamie Smart is a Sunday Times bestselling author, facilitator, and executive coach. He’s passionate about showing individuals and organizations the unexpected keys to clarity,the ultimate leverage point for creating more time, better decisions and meaningful results. Jamie’s 19 years of consulting experience have seen him working with leaders in organizations such as Dun & Bradstreet, The Guardian, and Thomson Reuters (formerly the Thomson Corporation). He has appeared on Sky TV and on the BBC, as well as in numerous publications including The Times, The FT, and The Daily Telegraph. In 2003, Jamie started the company Salad, quickly growing a tribe of over 80,000 people who devoured his articles and personal development products. Salad soon became the world’s leading NLP product business, and he was acknowledged by his peers as one of the world’s finest trainers. Then, in 2008, Jamie shifted his focus to a new paradigm grounded in the insight of Sydney Banks. He articulated this shift as the principles of CLARITY®. He stopped teaching NLP and in 2012 sold Salad. 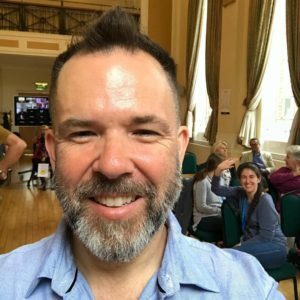 Prior to starting his own business, Jamie led multi-million pound organizational change programmes and was also brought in as a troubleshooter to rescue struggling projects. Jamie lives in London. When he’s not working, he loves travelling, walking, drinking coffee and exploring. For more details about Jamie’s corporate and professional development services, as well as full contact details, click here. Click here to list to and/or download the audio replay of RESULTS with Jamie Smart and Molly Gordon. The first book listed is a wonderful introduction to the Three Principles. It is followed by books written by Sydney Banks, whose awakening was the basis for The Three Principles. After Syd’s books, you’ll find a selection of books by his students.